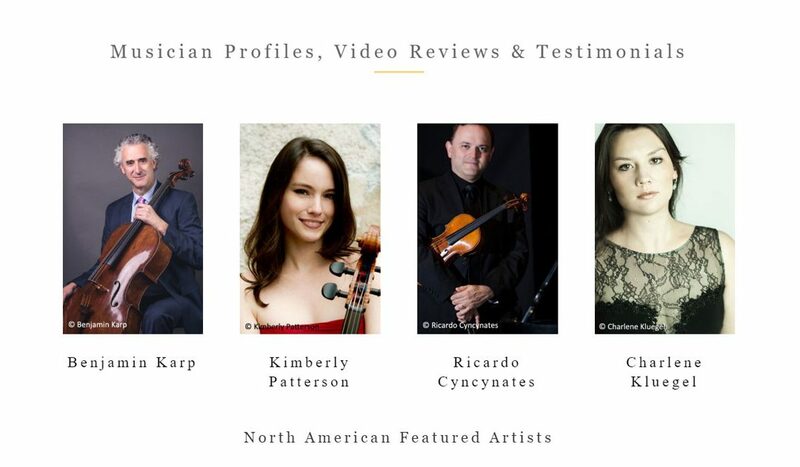 For our latest update of partner musicians, we are pleased to present four musicians from the United States. Magnacore® Arioso: Benjamin Karp, Professor of Cello at the University of Kentucky School of Music. Magnacore®: Dr. Kimberly Patterson Assistant Professor of Cello at the University of Memphis. Il Cannone®: Ricardo Cyncynates Assistant Concertmaster of the National Symphony Orchestra and GRAMMY-nominated violinist, Charlene Kluegel.